Time to clean out that locker! Instead of throwing away unwanted school supplies, consider organizing an eco-friendly collection to help others in need. In addition to being more sustainable, reusing and recycling materials saves money for teachers, families and your school. 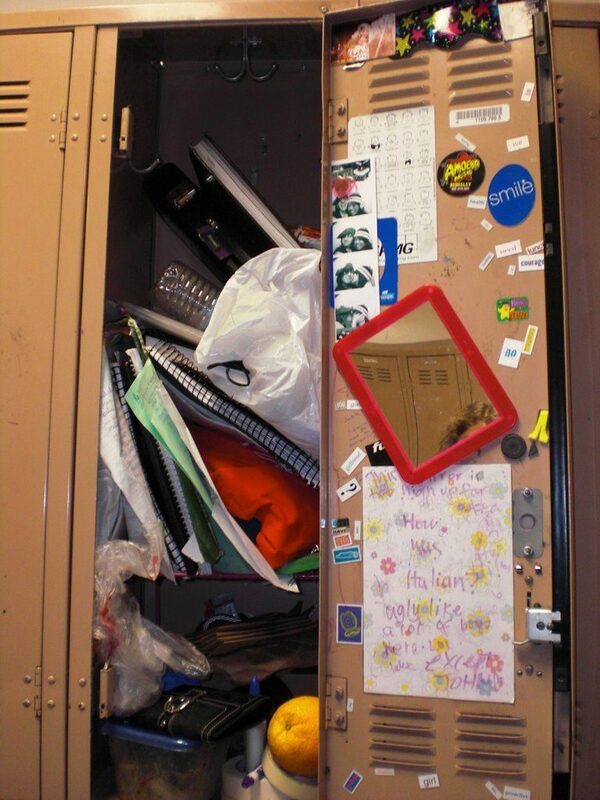 For ideas on how to set up a sustainable locker clean-out, check out this guide from StopWaste.org. They suggest a lengthy timeline for planning but you can likely get it done in much less. Here are some tips to encourage reuse and lighten the load. Take home those binders for next year! Teachers or principals: send home a brief letter to parents to ask them to encourage their kids to bring home supplies. Pro tip: rubbing alcohol will remove sharpie from binders and shiny folders so they can be used for a new subject. Teachers can stock up on supplies too! Teachers always are in need of supplies. 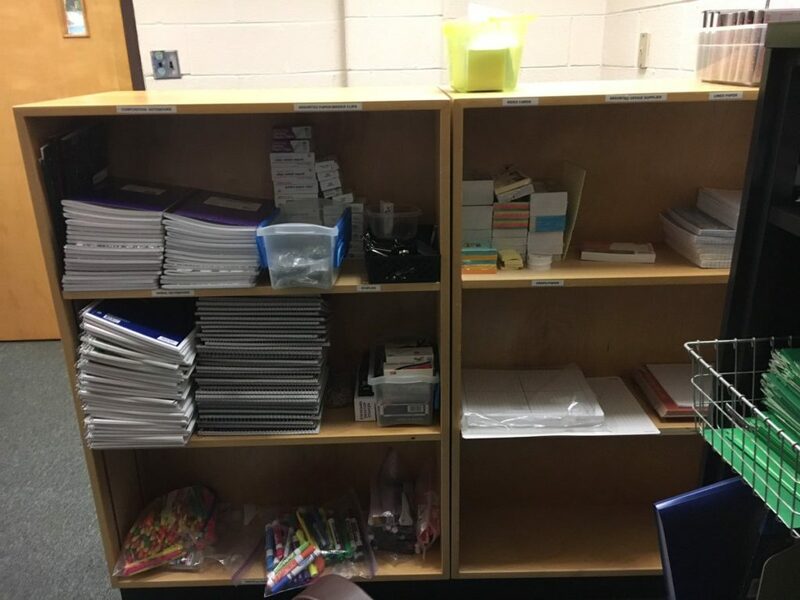 Rather than buying them or asking families to send them in with their students, encourage teachers to “shop” the locker clean-out. You’d be surprised how much like-new stuff students leave behind. Set up boxes of leftover items (the more organized the better!) in the teachers lounge or a central area for teachers to go through. Set aside supplies for students at your school that may struggle affording them. Try working with the school social worker, guidance counselor’s office, school nurse or an administrator to collect a stash of supplies. 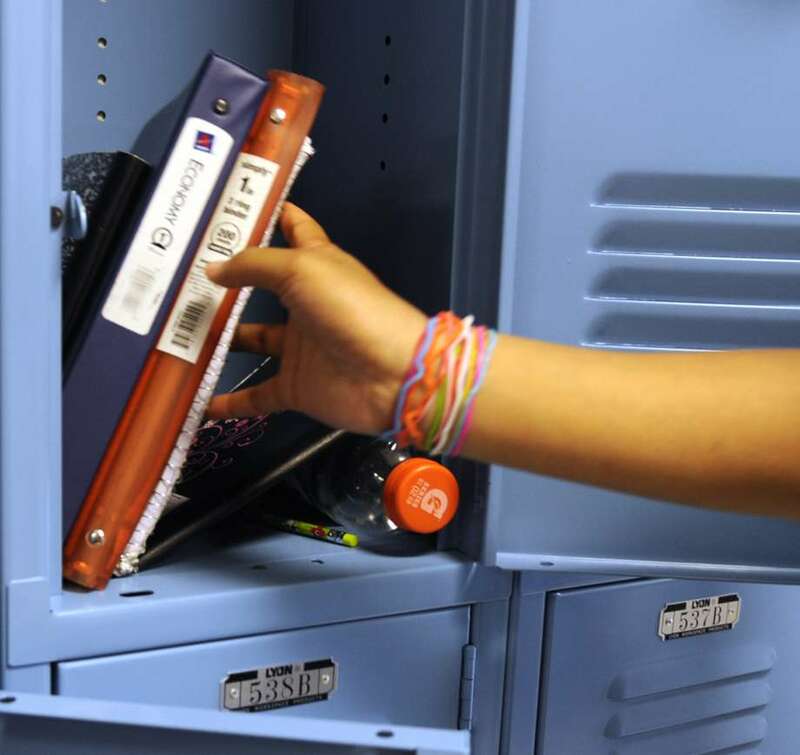 Keep a handful of notebooks, binders, loose leaf paper, writing utensils and accessories on hand to help those in need in your school next year. 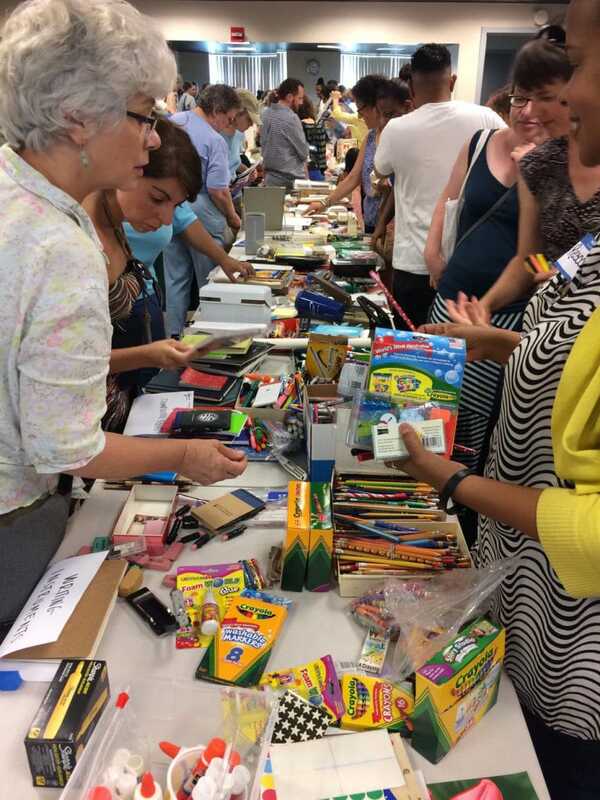 Set up a stash of school supplies for students whose families may struggle to afford them. SCARCE is jam-packed during the summer! After going salvaging items for your own school or district, you can donate supplies to SCARCE. We accept like-new, usable school supplies as well as books in any condition year-round. Check out the list of what we accept. If donating your leftovers to SCARCE, be sure to plan ahead and schedule your drop off. Summer is our peak donation season so there could be a long wait before we have space to take your items. Call us to schedule at 630-545-9710. 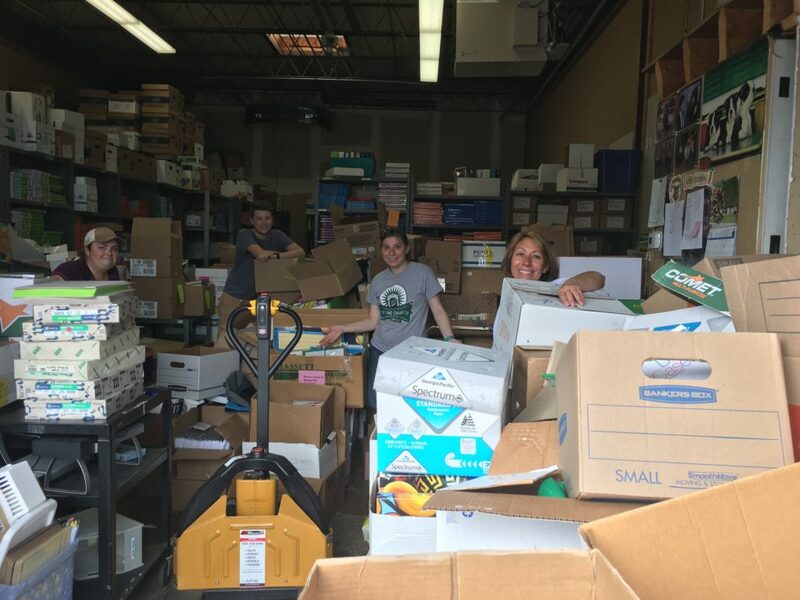 SCARCE gets hundreds of boxes of donations each day during the summer. While we are grateful for all the donations we are a small non-profit and it takes a lot of manpower (both staff and volunteers) to manage it all. You can help us immensely by pre-sorting and properly packing your donations. Junky folders and binders with writing on them. Break down binders for recycling with these simple instructions. Generally, if you wouldn’t use it, SCARCE can’t either. The only exception to the quality rule are books: we can take any book in any condition thanks to our partnership with a book recycler. Pack working pens and markers together in a Ziploc or other bag with a note stating they have been tested and all work. Then pack all items in boxes, keeping school supplies together and books separate. 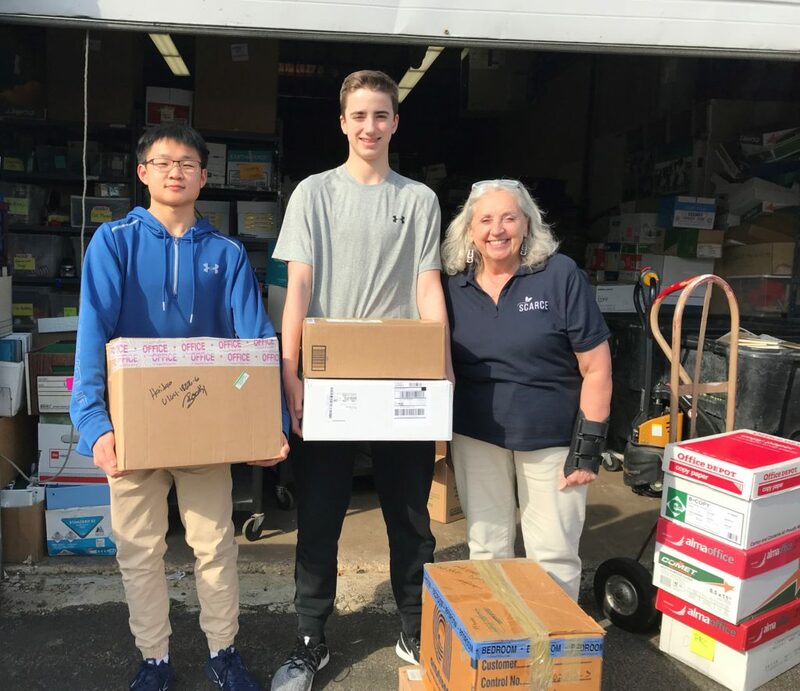 Boxes should be no heavier than 30 pounds and must be packed such that the flaps or lid closes flat and can be stacked – this is absolutely essential! Please, no half-full boxes or items sticking out the top. We suggest copy paper boxes, bankers boxes or small moving boxes. If you bring your items in bags, we may ask you to re-pack them in boxes before accepting them. 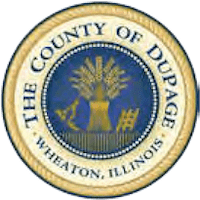 If you haven’t already, give us a call at 630-545-9710 to schedule your drop-off. Miscellaneous items such as clothing, locker mirrors and shelves can be donated to Goodwill or another resale organization. If you have questions on where to donate or how to recycle any specific items, give us a call or send us an email We’re happy to help!